It is estimated that a large fraction of natural gas reserves are found in locations from where transport is not economical. If these isolated natural gas reserves could be converted to synthetic fuels, they would generate around 250 billion barrels of synthetic oil—a quantity equal to one-third of the Middle East’s proven oil reserves. Small-Scale Gas to Liquid Fuel Synthesis explores next-generation technologies geared toward overcoming the significant cost and technical barriers prohibiting the extensive use of conventional gas to liquid (GTL) processes for the exploitation of small and/or isolated natural gas reservoirs. 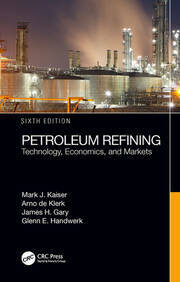 The book highlights key research activities in the framework of two large European projects—Innovative Catalytic Technologies & Materials for Next Gas to Liquid Processes (NEXT-GTL) and Oxidative Coupling of Methane followed by Oligomerization to Liquids (OCMOL)—examining novel technical developments that reduce the costs associated with air fractioning and syngas production. 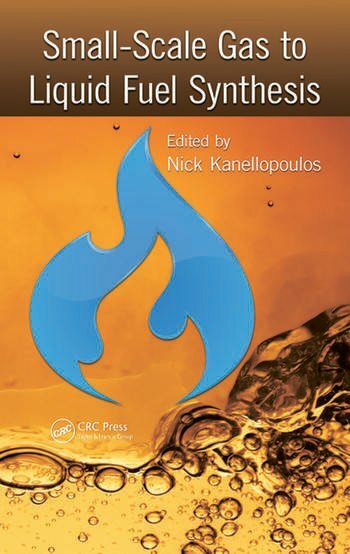 Featuring contributions from internationally respected experts, Small-Scale Gas to Liquid Fuel Synthesis discusses innovative GTL technologies based on recent advances in catalytic membrane systems, reaction engineering, and process design. The book provides academic and industrial researchers with a concise presentation of the current state of the art of low-cost, energy-efficient GTL technologies for small-scale applications. Dr. Nick Kanellopoulos is the research director of the Membranes for Environmental Separations Laboratory, the president of the National Center for Scientific Research "Demokritos", the chairman of the Committee of the Presidents of the Greek Research Centers, the author or coauthor of more than 170 publications in peer-reviewed journals, the editor of 5 books in the field of nanoporous membrane applications, the recipient of a total funding of €12 million from more than 50 European and national programs, and a participant in 2 high-tech companies in the field of nanoporous materials. He was previously the coordinator of the European Network of Excellence in nanotechnology in-situ study and development of processes involving nanoporous solids (inside-pores.gr) and of the committee for the preparation and submission of the proposal for a Greek National Nanotechnology program. In addition, he has been a Fulbright scholar, the president of the Greek Fulbright Scholars Association, and a member of the National Representation Committee of Greece for the FP6-NMP and FP7-NMP European programs in nanotechnology, as well as the National Committee for Nanotechnology in Brussels. "With the recent explosion of unconventional gas recovery, new biogas technologies, and advances in reforming processes, the gas to liquid (GTL) process has become very important in the energy and fuel industry. This book is an extensive compilation of the present state of the art of this important process by a set of internationally renowned authors. The book will be very useful to those engaged in active research in various aspects of GTL processes. 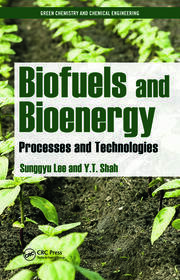 The book can also be used as a reference for the graduate courses related to fuel conversion processes." "For those working in the field, the book provides an excellent summary of the current state of the art."